Make sure you leave a review and tell us which Hellion flavor is your favorite. 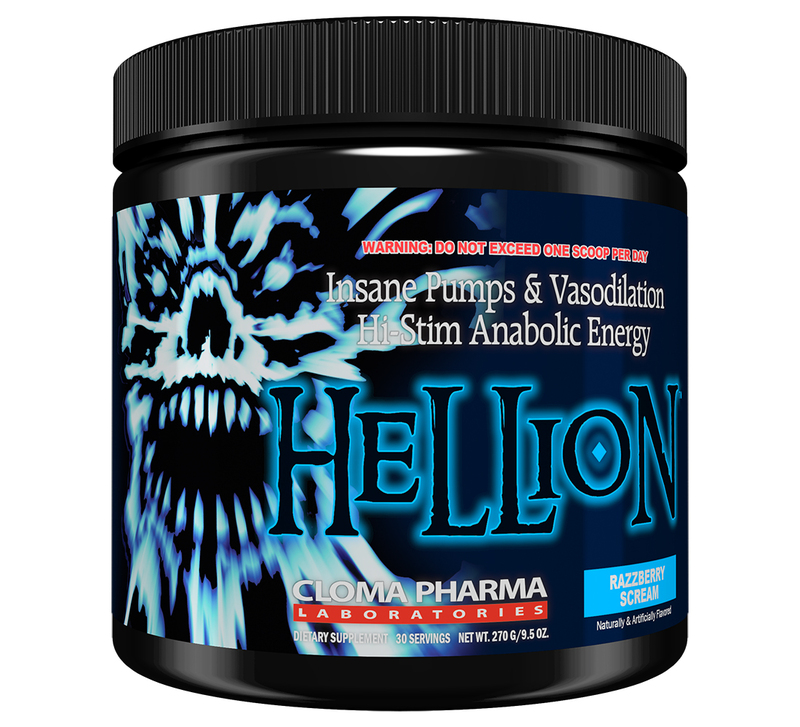 Hellion is a powerful preworkout powder that is going to help increase the length of your workout or physical exercise. 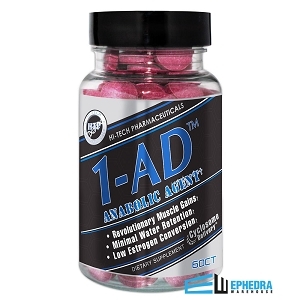 We all know that the longer you can spend exercising the quicker you will get the results you are looking for whether its weight loss, increased muscle mass, or leaner muscle gains. When taking Hellion you will get the extra time in the gym you need and extra reps that will really help you see the impact excreting has on your body. If you are looking for rapid weight loss Hellion's appetite suppression properties will really help reduce food intake and increase your metabolism. 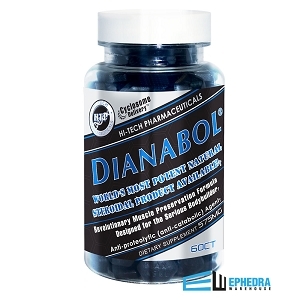 There are many reasons why Hellion is the product for you, but Hellion is the product that replaces Cloma Pharma's Methyldrene EPH with Ephedra. Cloma has discontinued Methyldrene EPH and Hellion is its replacement. Make sure if you are looking for Methyldrene EPH you try Hellion. 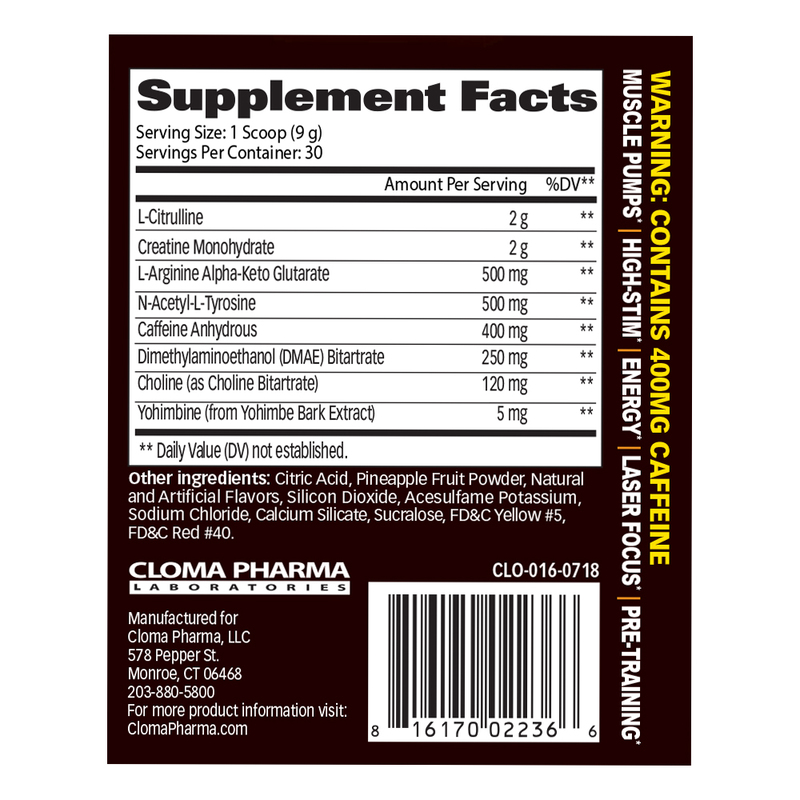 I called to order my regular Methyldrene EPH preworkout, and the sales guy I talked to informed me that Methyldrene EPH is being discontinued and I should go ahead and try the replacement product by Cloma so I bought one of each. 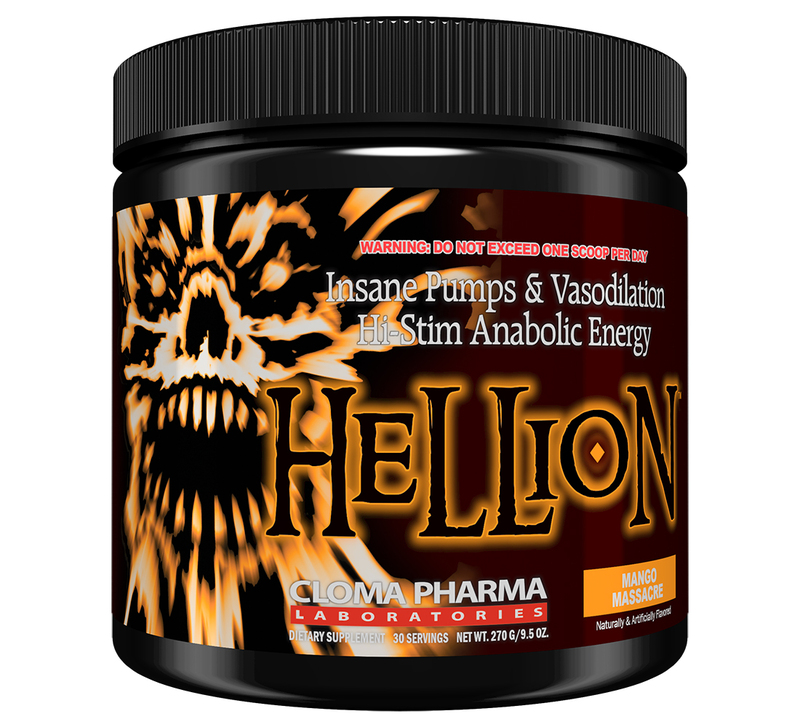 To my surprise I really like Hellion over my usual preworkout. I was worried about Methyldrene being discontinued but with Hellion available I am still able to complete the full length of my workout.